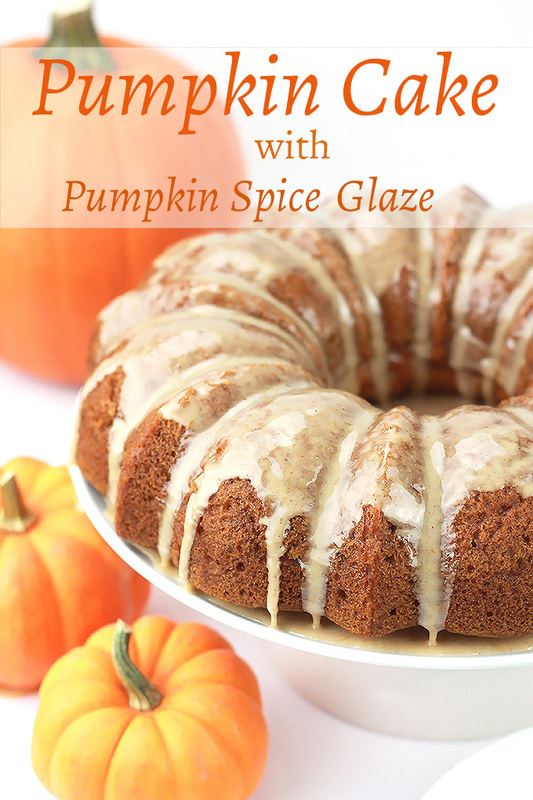 Serve them cake, Pumpkin Cake with Pumpkin Spice Glaze. It’s sweet, moist, decadent and oh so easy to make. Can you believe there are only 15 days until Thanksgiving, and the mad rush for holiday shopping? I think this year I’ll skip the madness and do most of my shopping on-line. I just want to chill and enjoy friends and family. 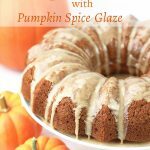 I’ve been giving some thought to what desserts I’ll make this year, in addition to the traditional pumpkin pie I’ve decided to try making pumpkin cake. I have never made a plain pumpkin cake before. 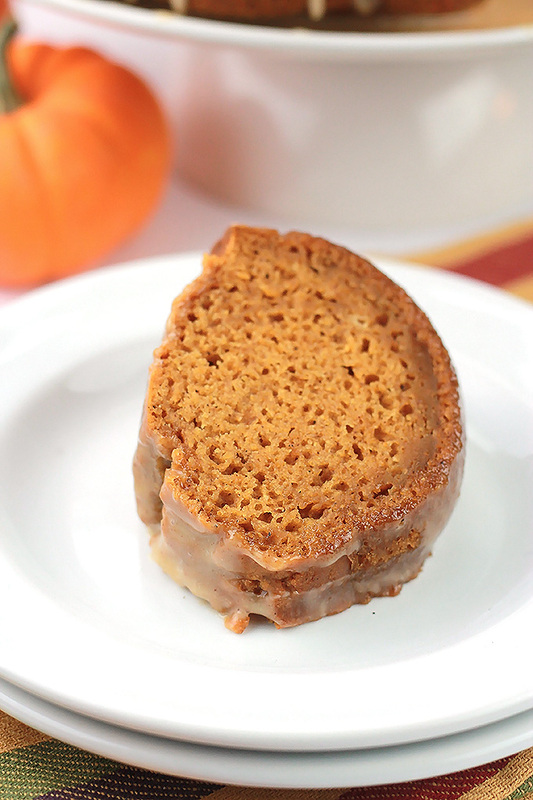 I’ve made desserts with pumpkin in them, but never a plain and simple pumpkin cake. After several tries I nailed it!!! 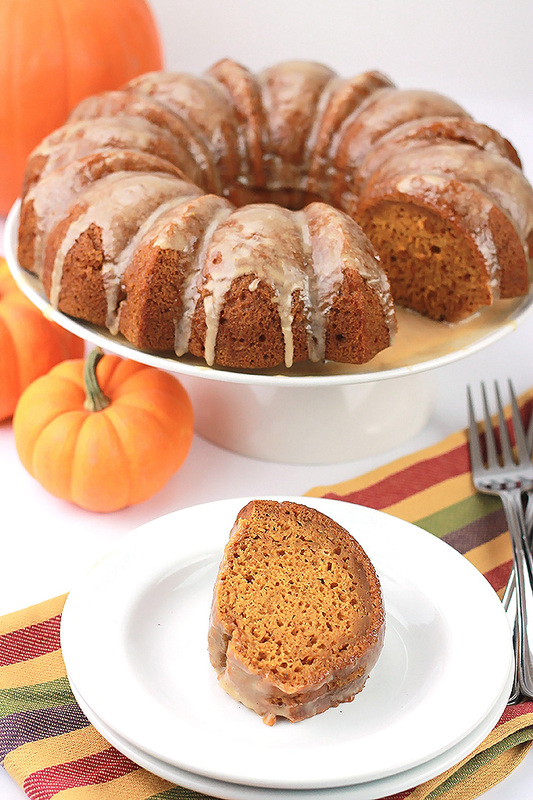 Sweet, moist, delicious Pumpkin Cake with the most decadent glaze. I took some to my staff at my center and they all confirmed its deliciousness. The glaze gives this cake an extra layer of moistness as soaks into the cake. However, if you like you can make it thicker and less of it will be absorbed into the cake. This cake will be one of the vegan dessert options, but based on my staffs reaction non-vegans may not leave any for the vegans in the group. 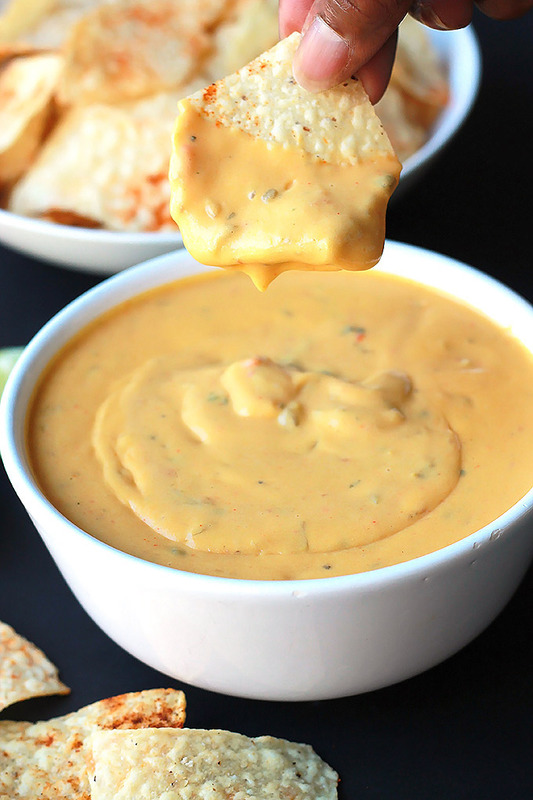 Just look at the deliciousness. You know you want some, it’s lick your lips delicious. 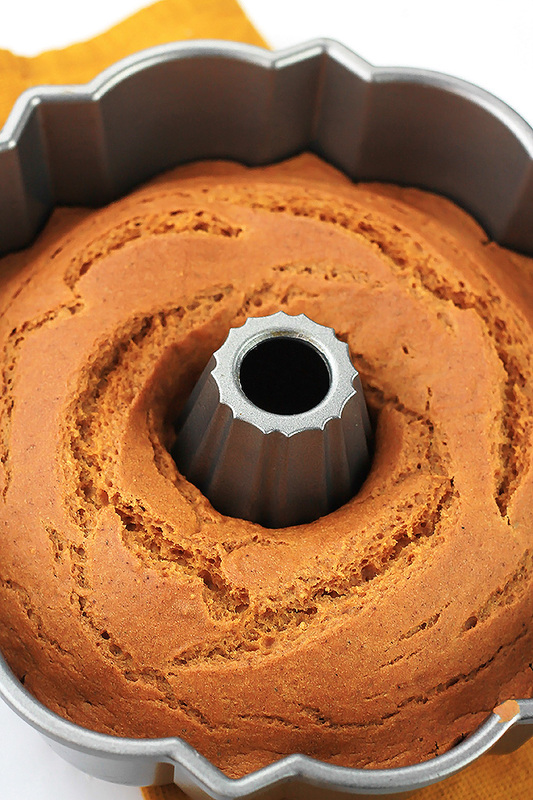 Pre-heat oven to 350 degrees and brush a bundt pan with oil or spray with cooking spray. Whisk together flour, sugar, baking powder, baking soda, salt and pumpkin pie spice in a medium bowl to remove any lumps. In a smaller bowl mix together the milk, pumpkin puree and vanilla extract. Pour into the flour and mix with hand mixer until well combined, about 2 to 3 minutes. Transfer to baking pan and place in center of oven to bake for 30 to 35 minutes or until a toothpick inserted comes out clean. Allow cake to cool slightly before inverting cake onto serving dish. While cake is baking mix together the glaze ingredients until smooth and creamy. Drizzle glaze over cake, slice and serve. Store leftover cake, if you have any, in an airtight container in the fridge. Heat slightly before serving. 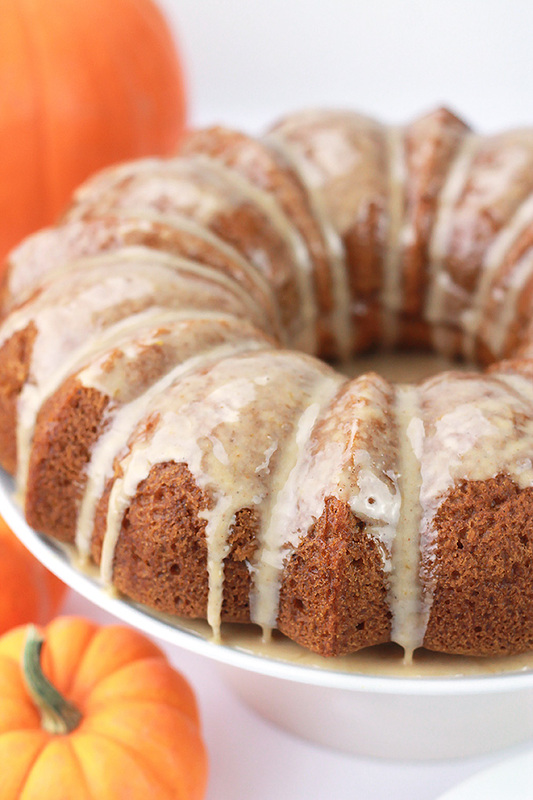 O…M…G….this looks so good and MOIST. Unfortunately, most vegan baked goods seem to be dry to me or have a weird texture. But not this cake. I’m not really a baker but I will most definitely be trying this! The first time I had vegan cake it was oh so dry and that’s why I set out to make one that was as moist as a traditional cake. This one passed the test with all of my tastetesters. I hope you enjoy it as much as my tastetester and I did. YOU NAILED IT! I’ve struggled in the baking department over the years, and you make this so approachable. And that glaze!! Yum!! I love baking it’s my favorite type of cooking. I’m glad you like this recipe. If you make it, and you should make it, let me know what you think. 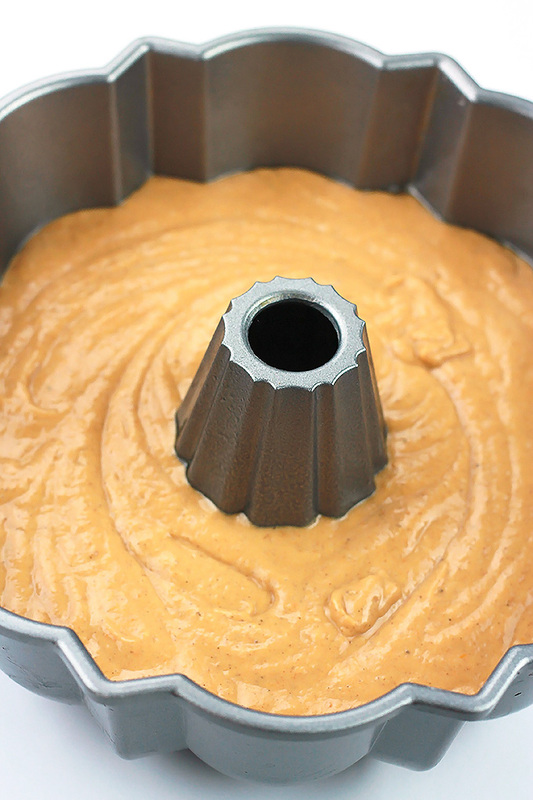 So….I am making this right now and the cake is not solidifying. I have baked it at 350° for 45 mins and only the edges have baked, not the center. I am using my silicone bunt pan. I don’t understand…. Hi Tiffany, I’m sorry to hear you are having problems with the cake. I have had several people make it and I myself have made it several times, as a matter of fact I made it just last week and it turned out fine. You may want to check to be sure you used the correct amount of liquid and check the temp of your oven. I haven’t made the cake in a silicone pan but I have used the same recipe for cupcakes using silicone and they baked up fine. I will myself bake it again to see what happens and I will let you know. I made the cake and it was so good, the glaze is perfection! I’ll definitely be making this again and again. I’m so glad you love this cake! When I make it, it’s always gone in a flash.